In this project I wanted to break away from the process of creating an image, etching and then printing. I was inspired after finding an abandoned record player. 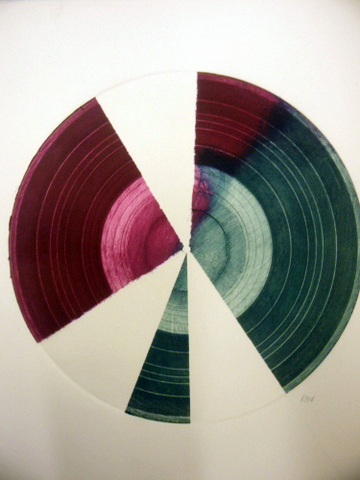 The phyiscality of records themselves means they can be put through a printing press. By inking up the records in the same way a plate is inked I was able to create clear prints of the lines and textures on them. This resulted in a series of unsual monoprints.